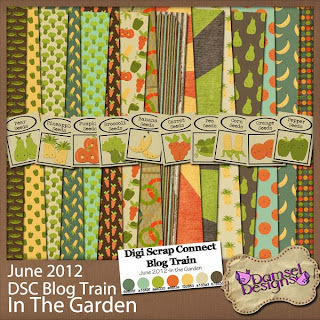 Damsel Designs: The June DSC Blog Train is HERE!! 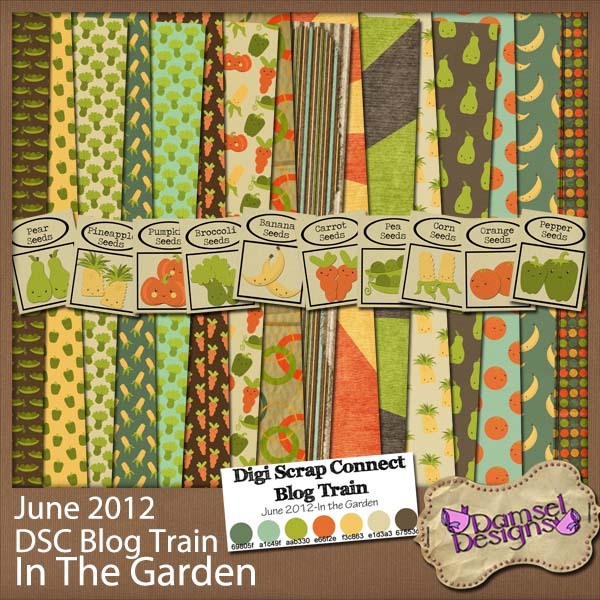 This month the DSC Blog train is strolling thru the garden. Such fun papers...I am excited to use them in a layout. Great job! C.
Missi, your part is so cute! thanx! Oh, these are just the cutest ever! Thank you! Thank you so much for this post. I want to let you know that I posted a link to your blog in CBH Digital Scrapbooking Freebies (please, notice the new url for my blog), under the Page 2 post on Jun. 02, 2012. Thanks again. Thank you, your part is gorgeous! Thank you so much! I love the little seed packets. This kit is one special smile maker! I'm still grinning after spying the seed packets! :-) Thanks so much! SUCH a cute kit. Thank you! thanks sooooooooooooooo much for your lovely contribution to this train!!! AH! Those seed packets are to die for adorable!! TFS! Great veggie papers! Thank you so much for your freebie! What wonderful papers! Such inventive patterns and great color combos. These are going to be fun to play with, I can tell already. Thank you so much!